Mentoring is a Core Competency That Belongs on Your Best Professional Resume. Today, mentorship still plays a vital role in today's corporate environment, but its importance is often underrated or poorly understood. Increasingly, companies value mentoring programs and realize that mentoring is a skill that can help business. A Harvard Business Review study showed that two-thirds of executives reported that they had benefited from having had a mentor and that these relationships are becoming more important. Mentors have a positive influence on their protégés. Among those who have openly described the importance of the career counseling from mentors aiding in their professional success: Kareem Abdul Jabar, Richard Branson, and Steve Jobs. Mentorship goes beyond basic training. It should not be limited to new hires and fresh-out-of-school starting employees. The benefits of sharing wisdom and experience with your colleagues, grooming them for success, extend far beyond individual relationships. This guidance can have a positive impact on your business and industry as a whole. Simply stated, a mentor is a member of staff who takes a personal interest in the career of another employee, offering guidance, career coaching, wisdom or advice. Mentors help to prepare employees for greater challenges and increased levels of responsibility at work. Mentorships can serve both older and younger professionals. Reverse mentoring, for example, pairs older executives with younger professionals on topics such as technology and social media. As an executive, take a vested interest in the success of your less experienced colleagues, no matter their age. Start by identifying needs or gaps of employees and find a colleague with that expertise. These collaborations can transform individuals and corporate culture. When people think of mentoring, it's often junior-level employees who come to mind. However, mentorship is every bit as important at the executive level. Leadership and management skills do not come naturally, and they are not often taught to people fast-tracking their way to the top, but they are extremely important, as executive career specialists will attest. Take an executive under your wing and you can impart the lessons you've learned the hard way, impart career planning advice, and provide a foundation for future success for the next generation of leaders. Along the way, your own leadership abilities will improve; you will be able to take a more critical look at your role within the company and your work experience and apply that understanding for self-improvement. In order to feel engaged with their jobs and motivated to do their best, employees and executives alike need to feel that they are appreciated and supported. Workers who feel like they're floundering or left on their own to struggle may burn-out and abandon a company, which loses a potentially valuable contributor. Individuals who form strong bonds with others, however, will be more likely to stay. This is especially true when they feel that senior executives truly care about them and their performance. 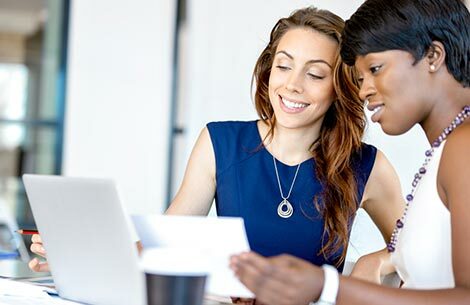 The greatest power in mentorship is the ability to drive progress, from learning how to write a resume to obtaining an executive level position, mentoring is valuable at every stage. It's little wonder that some of the most successful names in business, including Steve Jobs and Richard Branson, had long-lasting relationships with mentors. The people most likely to go on to make a massive impact in their field are those who have the ability to learn from the wisdom and experience of those who came before them. When you take on a mentoring role, you are investing in human capital. You are making a mark on the future of your company and leaving behind a legacy that could ripple through the industry itself. This is a powerful opportunity to make your mark, and it's well worth taking the extra time and attention needed to cultivate such relationships.